Pictured above is the owner of the newly relocated gift store Within Reach, Marian Ward, with her daughter Julia. 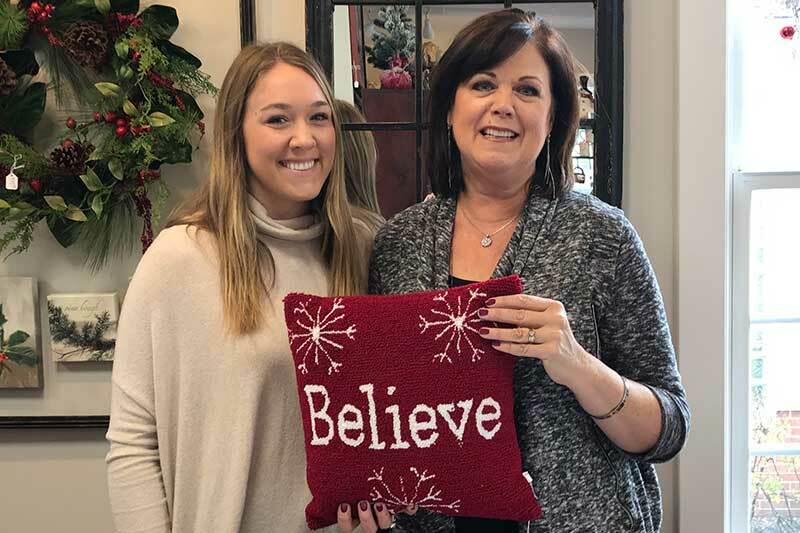 Join me in congratulating Marian Ward, owner of the retail shop Within Reach, on her successful move to a beautiful new location in downtown Long Grove! Now located in the yellow building at 128 Old McHenry Road, Marian’s new space is part of the exciting renovations being done to the entire complex of buildings owned by Craig Leva of the Long Grove Confectionery. Coming soon will be the expanded Confectionery, Long Grove Coffee Company and Cafe, but for now we can enjoy a new spot to shop for gifts and treasures. In business since 1982, this is the third Long Grove location for Within Reach, which started in the basement of the old Stempel general store (now the downtown Visitor’s Center). For the past 35 years Marian’s kindness and love for the community has cultivated a loyal customer base, plus her knack for picking out great finds for home decor. The second floor of her new building is now exclusively devoted to baby clothes and gifts–it’s a pink and blue paradise where cuteness abounds! I stopped in on opening day two weeks ago to check out the new digs but I will be back shortly, Christmas gift list in-hand. Within Reach and many of the other stores will be open until 7:00 pm every Thursday and Friday night thru Christmas starting tomorrow, November 16th. Shop into the evening and afterwards enjoy dinner at one of our four downtown restaurants or a glass of wine or craft beer at one of our three tasting rooms. Save your receipts and for every batch totaling $150, you will receive a gift at the Visitor’s Center. This Friday, November 17th, the downtown merchants are hosting a “Progress with Us” evening of treats and holiday specials throughout the historic business district. The fun kicks-off at 5:00 pm till 9:00. Carriage Rides, Carolers, and Santa will again be visiting on Saturdays & Sundays for a very “Vintage Holiday” season this year in Long Grove. Attending the Power of the Purse event on Nov. 5, 2017 (L to R) standing: Heidi Locker-Scheer, Maria Rodriguez, Vicki Juster, Jenny Sen-Gupta, Angie Underwood. Seated: Melissa Dickstein, Nandia Black, and Diane Trickey. Retiring from the Village Board six months ago has allowed me to reset my priorities on how I spend my volunteer hours. One group that I have chosen to focus on is the Women’s Leadership Council of the United Way of Lake County (soon to be called “Women United”), where I serve on the Steering Committee. This wonderful group of 90+ female leaders is committed to improving early childhood literacy in Lake County through philanthropy and volunteerism. Our network of women has been able to grant $100,000 this year alone to programs that serve children in areas of most need, helping them to be prepared for kindergarten and ready to succeed in school. 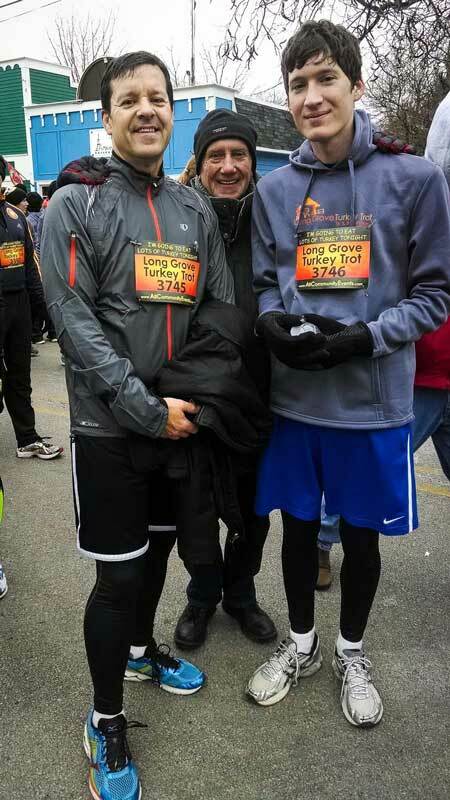 Some of the communities most impacted by our work include Waukegan, Zion, North Chicago and Round Lake. But it was Long Grove that played a central role in the story of WLC yesterday, as our major fundraiser for the year, Power of the Purse, was held at Royal Melbourne Country Club. 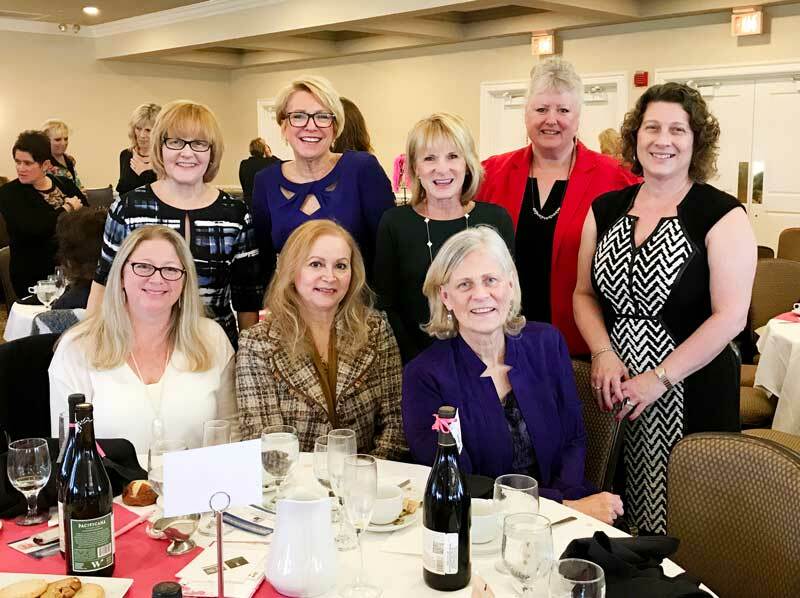 I was honored to sponsor a table of local “women of influence” (many of whom are pictured above) including a former Village Clerk, two former Village Presidents, and a current Mayor. In between enjoying mimosas and brunch we were able to bid on purses and silent auction baskets, have fun playing games and winning prizes, and donate books and educational toys to children served in the “Little Kids, Big Futures” funded programs. It was an altogether lovely day but what made me smile the most was the sea of hands that went up when asked to sponsor one child for a week of Kindergarten Countdown Camp. When passionate, powerful, and committed women come together in the spirit of philanthropy, it’s a beautiful thing to behold. Nov. 15, 2017 Update: A total of $49,500 in net donations was raised at the Power of the Purse event this year. Nice job, ladies!! Wonder Woman is the inspirational “mascot” of Women United. 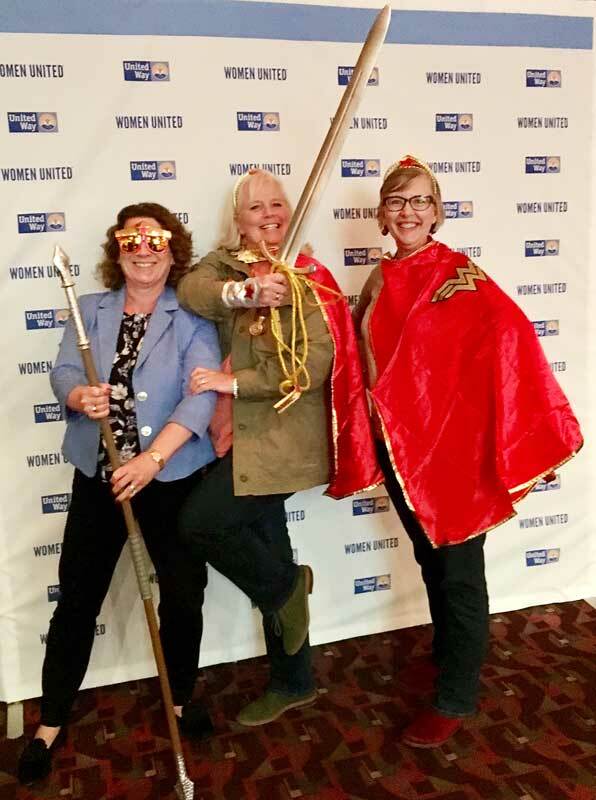 Three members of the Steering Committee had fun channeling her power at the 2017 Leadership Summit in Cincinnati last month.